96mm Tapered Bow Pull, 1 per package The Liberty 3-3/4 in. Satin Nickel Tapered Bow Pull gives contemporary cabinetry and furniture a sleeker look. It features a 3-3/4 in. center-to-center, rear-mount design for easy installation. 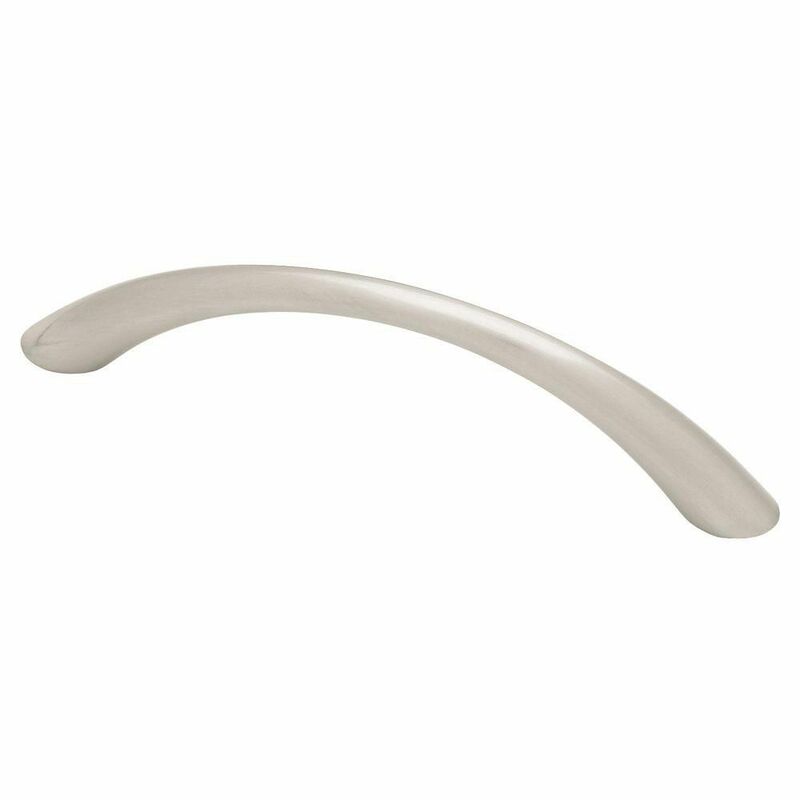 The metal base material is crafted for endurance and is coated in a satin nickel finish. 96mm Tapered Bow Pull, 1 per package is rated 4.5 out of 5 by 54.